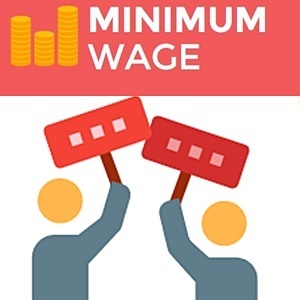 Cape Town - The parliamentary committee on labour has accepted the submission by the South African Federation of Trade Unions (Saftu) on both the minimum wage and proposed amendments to the labour laws. The minimum wage was initially supposed to be introduced on May 1. However, this has been delayed. It is understood that a number of labour and human rights groups have submitted objections and suggestions to the parliamentary committee. Saftu’s submission will be heard on Tuesday morning. It maintains that the proposed amendments to the labour laws amount to "a savage attack on workers". The proposed R20 an hour or R3 500 a month minimum wage is dismissed in the federation’s submission as "entrenching the apartheid wage structure". It points out that the share of wages to gross domestic product has fallen from 57% in 1991 to less than 50% today. Saftu argues that the debate within the parliamentary committee should focus on discussing the introduction of a wealth tax and other measures such as raising corporate taxes, as well as introducing a "solidarity tax". The proposed amendments which would curtail the existing right to strike should be sent back to the National Development Economic and Labour Council to be reconsidered and Saftu should be given a seat at Nedlac, said the union.